I have suspected for a good time that the homosexual in America would ultimately pay a price for the intellectual impoverishment of women. Men continue to mis-interpret the second-rate status of women as implying a privileged status for themselves; heterosexuals think the same way about homosexuals; gentiles about Jews; whites about blacks; haves about have-nots. Christopher Paul Moore, Senior Researcher, Schomburg Center for Research in Black Culture in Harlem, New York speaks about the legacy of Lorraine Hansberry. As part of the New York Public Library Blog, Christopher Paul Moore makes a connection between the line the 1951 Langston Hughes poem “Harlem”— What becomes of a dream deferred? /Does it dry up /like a raisin in the sun?— that would become the title of Hansberry’s 1959 play, A Raisin in the Sun and Lorraine Hansberry, herself, who was, as Moore says, a dreamer supreme. 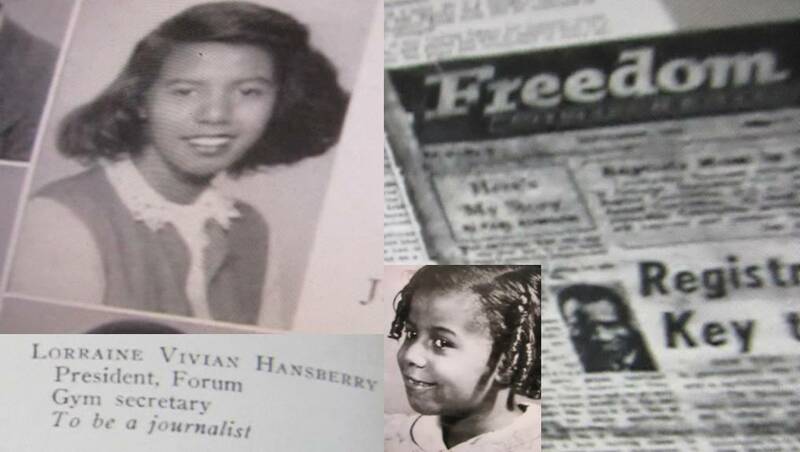 The Lorraine Hansberry Papers are held at the Manuscripts, Archives, and Rare Books Division, of the Schomburg Center For Research in Black Culture. The collection is a remarkably thorough record of family, personal, and professional papers and letters, manuscripts, photographs, and artwork documenting her entire life as an artist, activist, and public intellectual.